PMII's nationally certified Online training courses offer a complete interactive learning solution with lesson pre-tests and post tests, flash cards, audio instruction, video clips, and iimmediate feedback. PMII was the first to offer online interactive training for mold inspectors and remains the leader in the field. 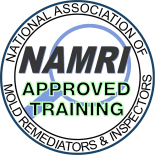 This online certification course provides your Certified Residential Mold Inspector (CRMI) certification. You will learn how to perform mold inspections in compliance with national standards of practice, including the use of sampling equipment such as air cassettes, tape lifts, and swab kits. Perfect for adding mold inspection services to your home inspection business, or if you want to start an independent mold inspection business. This online certification course provides your Certified Mold Remediator (CMR) certification. 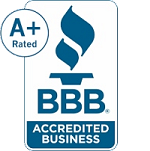 As a certified mold remediator, you can expand your business by cleaning and correcting mold problems found in homes and businesses. The course takes you step-by-step through mold remediation protocols including developing a project plan, pricing, clean-up, and repairs. Take the next step by providing this much-needed service to clients. This online mold remediation protocols courseteaches the safe work practices recommended by the New York City Department of Health and Mental Hygiene (DOHMH) Guidelines on Assessment and Remediation of Fungi in Indoor Environments, and the Institute of Inspection, Cleaning and Restoration Certification (IICRC) S520 Standard and Reference Guide for Mold Remediation. This continuing education course will help you compare both organizations and determine which set of mold remediation protocols make the most sense for your business to follow. This online certification course provides your Certified Commercial Mold Inspector (CCMI) certification. While most mold inspections are residential, there is a growing market for inspecting commercial property including office buildings, warehouses, shopping centers, apartment complexes, and multi-unit properties where owners or potential buyers are seeking to protect their investments. This course is another excellent way to expand your business services. This 32-hour, Ozone and Hydroxyl Remediator (COHR) course contains lessons on how to assess and properly apply ozone and utilize hydroxl generation for odor removal, disinfection and restoration applications. Learn how to identify and assess the source of odors, how to recommend corrective measures when necessary, and the protocols for generating and applying ozone and hydroxyls. You will also learn how to prepare a written pre-treatment report for the client. Add radon measurement to your business with this 16-hour online certification course. Learn the fundamentals of radon exposure along with the proper techniques for measuring and reporting concentrations in buildings. Includes assistance in coordinating and scheduling the recommended National Radon Safety Board (NRSB) exam. Some of the features include online flashcards and testing, video clips, online access, certificate and toll free support. 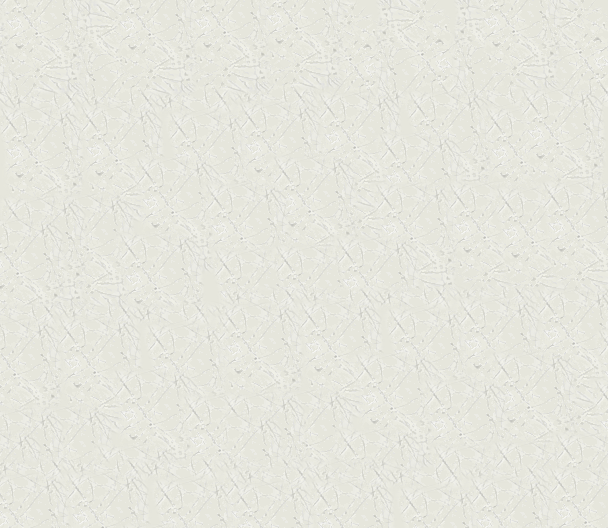 Includes Radon Inspection Forms & Checklists. This online certification course provides your Level 1 Thermographer certification. You will learn how to properly use an infrared camera for a variety of diagnostic, monitoring, and predictive maintenance applications in commercial, industrial and building environments. The course follows the recommended training guidelines established by the American Society for Non-Destructive Testing (ASNT). The course includes a DVD that takes you through a complete infrared property survey, and another DVD that contains a quick-start guide for your infrared business. This online certification course provides your Infrared Moisture Surveyor Certification. Providing thermal moisture surveys helps identify the source and full extent of hidden water damage and moisture that cannot be discovered by other non-destructive inspections. A professional infrared moisture survey report can be used to help estimate repairs, to guide those writing mold remediation plans, or to document expensive water damage claims for insurance policies. This course is a recommended addition to Level 1 thermographer training and is an excellent way to expand your business services. This online certification course provides your Infrared Energy Surveyor Certification. Providing thermal energy loss surveys helps identify the source of insulation and air infiltration problems that cause high energy bills, discomfort, and other problems. A professional infrared energy loss survey report can be used to help correct defective insulation, to seal thermal bypasses, or to document claims for building warranties. This course is a recommended addition to Level 1 thermographer training and is an excellent way to expand your business services. This online certification course provides your Level I Thermographer Certification, Level 1 Building Surveyor, Moisture Surveyor, and Energy Surveyor Certifications in one course. You will learn how to properly use an infrared camera for a variety of uses and how to prepare and deliver a professional infrared energy loss and/or moisture survey report. You will learn the process for investigating and positively identifying many different types of energy loss including insulation deficiencies, bypasses, air infiltration, thermal bridging, and HVAC system problems. You will aso learn how to locate and positively identify water infiltration problems in buildings. The course follows the recommended training guidelines established by the American Society for Non-Destructive Testing (ASNT). The course includes a DVD that takes you through a complete infrared property survey, and another DVD that contains a quick-start guide for your infrared business. your business services. Our 12-hour marketing and business development course will show you exactly what you need to do to get your new business up and running. You will learn what works (and what doesn't), so you can save time and money while quickly growing your business. During the course you will learn how to design a marketing plan that meets your business goals. You will also learn sales strategies and the confidence needed to build a referral network for long-term success. This 24-hour classroom hybrid course, offered at our training center in Madison, South Dakota, provides live instruction and hands-on experience with mold sampling equipment. Students earn all three certifications, and also fulfill the requirements for Louisiana. One advantage of PMII's training system is that students are provided with the interactive home study courses in advance as homework. This allows students to learn the easy part at home and spend more classroom time learning detailed information.